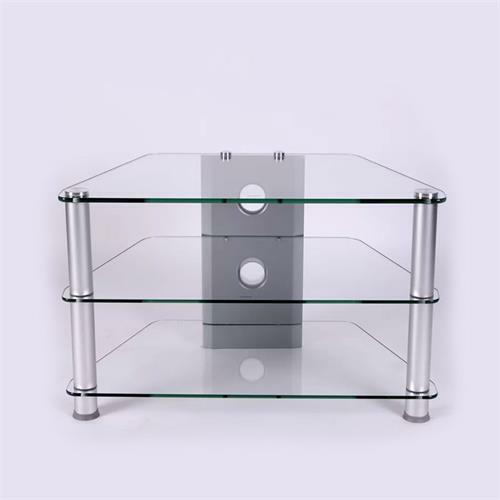 More on the RTA Glass Corner TV Stand for 20-32 inch Screens (Silver) TVM-021 below. Two 8mm thick tempered glass shelves. Versatile and space efficient with an elegant prefessional design. A sturdy silver aluminum frame.